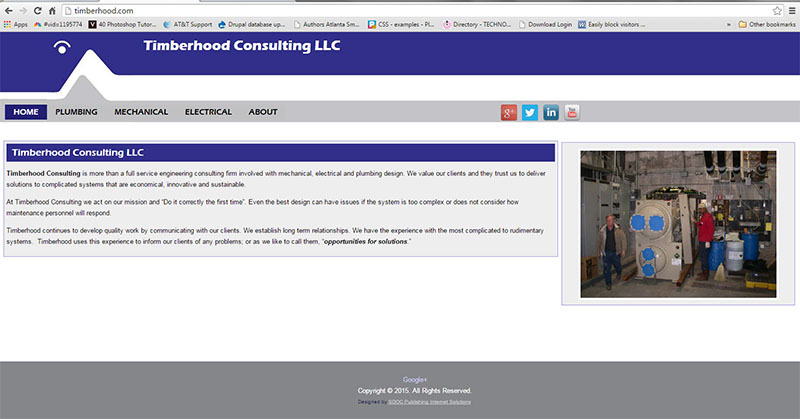 Timberhood Consulting LLC provides engineering design and consulting all around Atlanta. Previous site was all in Adobe Flash(R). It was the state of the art several years ago but today it was impossible to keep updated and invisible on mobile devices. The upgraded site needed to match company logo and branding, and be easy to update by posting articles related to each area of expertise. The result is this WordPress based website with an array of slideshows. The front page is an assortment of images. Each specialty page contains a slideshow of a brief article and image related to current projects. New content can be added to any of these slideshows through a single interface making it fast and easy to add the latest news.